247 Commonwealth is located on the north side of Commonwealth, between Fairfield and Gloucester, with 245 Commonwealth to the east and 249 Commonwealth to the west. 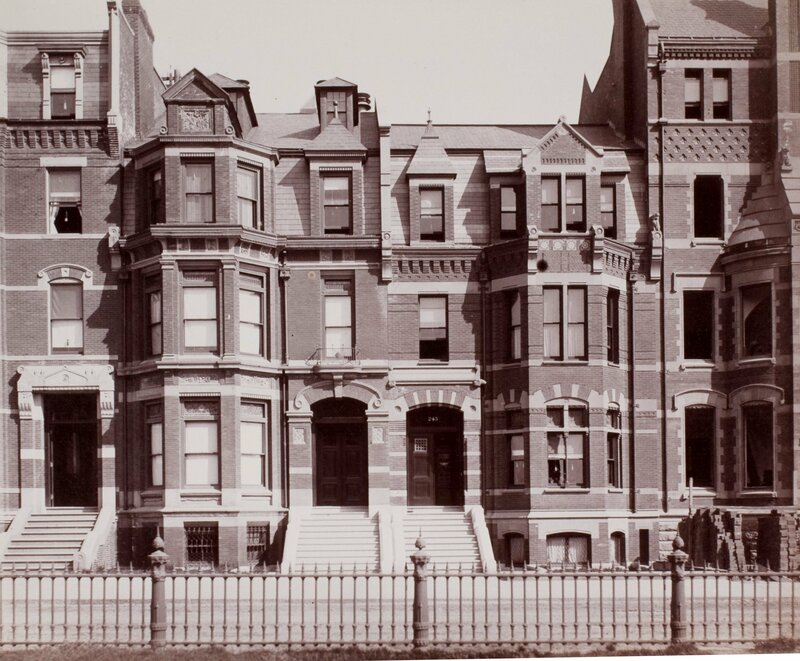 247 Commonwealth was designed by Bradlee and Winslow, architects, and built in 1878 by Thomas J. Whidden, builder, for Uriel Haskell Crocker, an attorney and author of books on the law and jurisprudence, and his wife, Clara Garland (Ballard) Crocker. They previously had lived at 25 West Cedar. Uriel Crocker is shown as the owner of 247 Commonwealth on the original building permit application, dated April 12, 1878, and on the final inspection report, dated December 31, 1878. He purchased the land for the house on March 14, 1878, from Nathaniel Henry Emmons, Jr., who owned the lot to the east, where construction of his home at 245 Commonwealth was nearing completion. Nathaniel Emmons had purchased the land for both his home and for 247 Commonwealth on December 1, 1870, from a real estate investment trust formed by John Templeman Coolidge, Franklin Evans, and Charles Henry Parker. The lots were part of one of several parcels the trust purchased from the Boston Water Power Company on January 29, 1866. The trust subsequently subdivided the parcels into lots, which it sold to investors and builders, who then frequently resold the lots to others. Click here for an index to the deeds for 247 Commonwealth. Clara Crocker died in May of 1891. Uriel Crocker remarried in April of 1891 to Annie J. Fitz. After their marriage, they lived at 247 Commonwealth. 245-247 Commonwealth (ca. 1883), photograph by Albert Levy; Ryerson and Burnham Libraries Book Collection, The Art Institute of Chicago (Digital file #000000_100709-13). Uriel Crocker died in March of 1902. In his will, he left all of his property to his wife. Annie Crocker continued to live at 247 Commonwealth during the 1904-1905 winter season. On June 15, 1905, she transferred all of the real property she had inherited from her husband to his three sons – George Uriel Crocker, Joseph Ballard Crocker, and Edgar Crocker – with the proviso that she be allowed to remain at 247 Commonwealth until November 1, 1905. She moved thereafter to 338 Bay State Road. George U. Crocker and his wife, Emma Lilian (Aylsworth) Crocker, lived at 378 Marlborough. He was an attorney and in 1905 served as Boston City Treasurer. Edgar Crocker and Joseph B. Crocker were note brokers in the firm of Edgerly & Crocker. Edgar Crocker and his wife. Edith (Gannett) Crocker lived in Cambridge; Joseph Crocker was unmarried and lived in Canton. 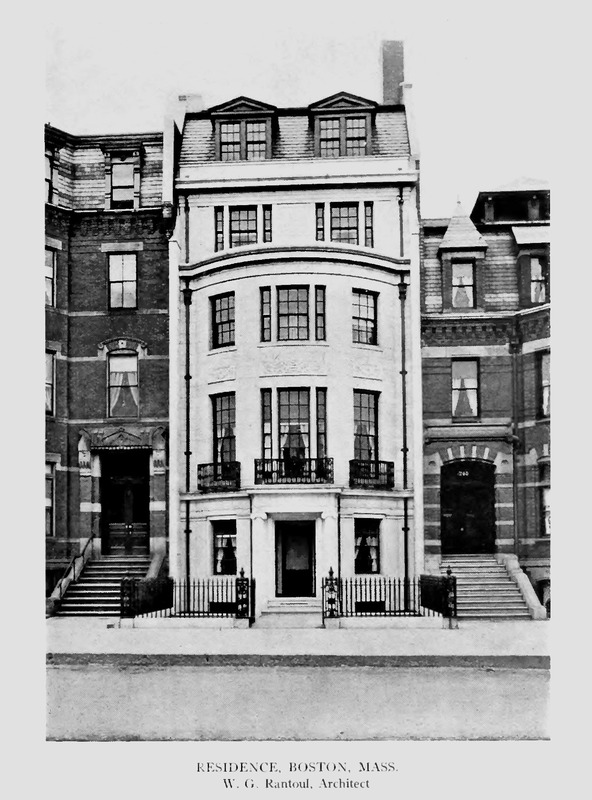 On November 1, 1905, 247 Commonwealth was purchased from the Crockers by Emily W. (Proctor) Mandell, the wife of George Snell Mandell. They previously had lived at 256 Commonwealth. They also maintained a home in Hamilton. The Mandells had 247 Commonwealth significantly rebuilt, including a granite façade with a bow across the entire front, designed by architect William Rantoul. Architectural plans for the rebuilding — including front and rear elevations, floor plans, framing plans. and piling plans — are included in the City of Boston Blueprints Collection in the Boston Public Library’s Arts Department (reference BIN A-68). George Mandell’s father, Samuel Pierce Mandell, was publisher of The Boston Transcript. George Mandell worked for the Transcript in various positions, including serving as treasurer and editor, and after his father’s death in 1920, he became the publisher. The Mandells raised their four children at 247 Commonwealth: Samuel Pierce Mandell, Emma Howe Mandell, Thomas Proctor Mandell, and James Proctor Mandell. Emma Mandell married in June of 1917 to her first cousin, Neil Woodbury Rice (he was the son of Charles G. Rice and Anne S. (Proctor) Rice, the sister of Emily (Proctor) Mandell). He was a mining engineer. They lived with the Mandells at 247 Commonwealth during the 1918-1919 winter season, but by 1920 were living in Wenham. Samuel Mandell served as an aviator in World War I and was killed in action in November 5, 1918, six days before the Armistice. Thomas Mandell married in September of 1923 to Geraldine Clark. He worked as an advertising solicitor for the Boston Transcript. After their marriage, they lived in Wenham. James Mandell, a student at Harvard, died in July of 1929 from injuries suffered in a polo match. Commonwealth until about 1937, after which she lived in Hamilton. The house was shown as vacant in the 1938-1941 City Directories, but Emily Mandell was living there again by 1941, and continued to live there until her death in April of 1944. On June 30, 1944, 247 Commonwealth was acquired from Thomas Mandell and Emma (Mandell) Rice by Dr. Francis Lee Weille, a physician and ear and throat specialist, who converted it into medical offices. He maintained his offices there until the early 1970s along with several other physicians to whom he leased office space. He and his wife, Eleanor Perry (Walker) Weille, lived in Brookline. Francis and Eleanor Weille divorced in 1957. He remarried in the early 1960s to Miss Evelyn Cushman Higginson. 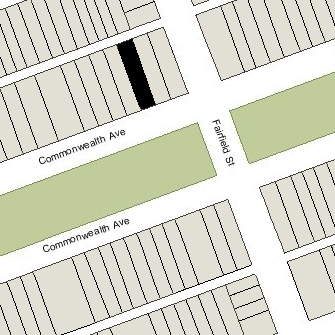 After their marriage, they lived in an apartment at 247 Commonwealth. In April of 1973, Dr. Weille filed for (and subsequently received) permission to legalize the occupancy as four medical offices and two dwelling units, which he indicated was the existing condition (the residential units being located on one and one-half floors of the building). In May of 1973, he filed for (and subsequently received) permission to convert the property from four offices and two residential units into offices for the American Cancer Society. 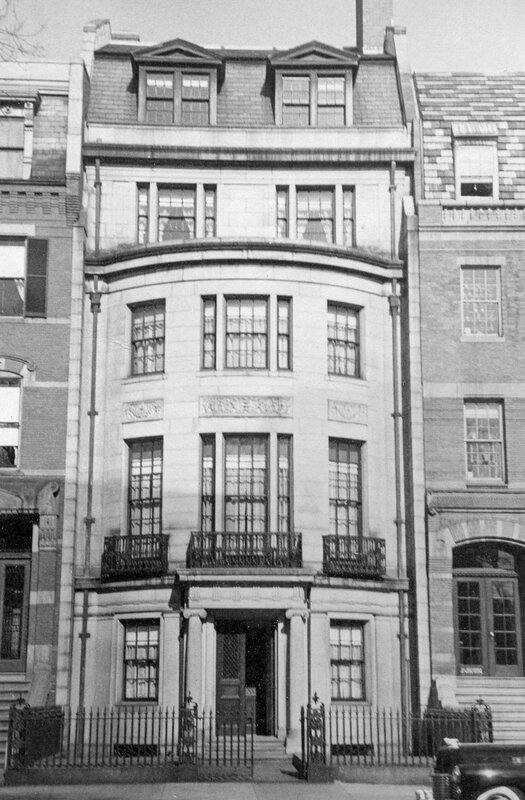 On November 19, 1973, 247 Commonwealth was acquired from Francis Lee Weille by the Massachusetts Division of the American Cancer Society. It continued to occupy the building until the mid-1990s. In May of 1996, it filed for permission to convert the property from offices into a professional language school, the English Language Center. The application was denied and the Society’s appeal was dismissed. On October 16, 1996, 247 Commonwealth was purchased from the American Cancer Society by Two Forty Seven, Inc. (C. David Hetrick, president, and Samuel J. Scialabba. treasurer). In March of 1997, it filed for (and subsequently received) permission to convert the property from offices into five residential units. 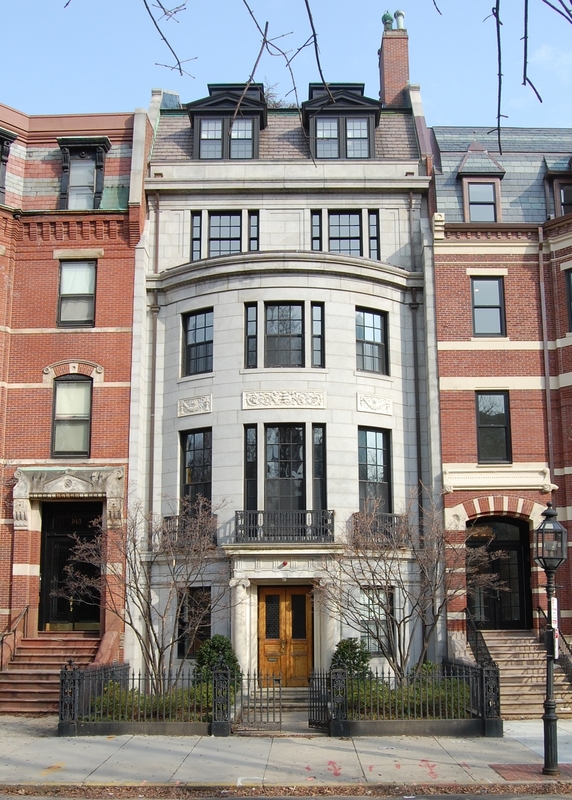 On March 30, 1998, Two Forty Seven, Inc. converted the property into five condominium units, the 247 Commonwealth Avenue Condominium.